Between the latest Samsung, Google, and Apple phones, there are some excellent smartphone cameras The Best Smartphone Camera: Google Pixel, Apple iPhone, OnePlus, and More The Best Smartphone Camera: Google Pixel, Apple iPhone, OnePlus, and More You can take quality photos on your smartphone, no DSLR required. But with so many options, which is the best smartphone camera? Read More available to shutterbugs. And it’s pretty much a guarantee that the next time you upgrade, your smartphone camera will come with great features 5 Google Pixel Camera Software Features You Should Be Using 5 Google Pixel Camera Software Features You Should Be Using Google Pixel phones include a collection of impressive camera features. But how do they work? Read More . So why should you consider adding a lens? Just to give you an idea of what a lens can do, here are some real-life comparisons using the Google Pixel 2 XL, which is a smartphone with a great camera, with a Moment Wide Angle lens attached. Moment (which also makes a smartphone case you’ll love using 7 Types of Smartphone Cases You'll Actually Enjoy Using 7 Types of Smartphone Cases You'll Actually Enjoy Using Looking to buy a case for your phone? Skip the cheap junk! Here are several types of phone cases you'll actually enjoy using. 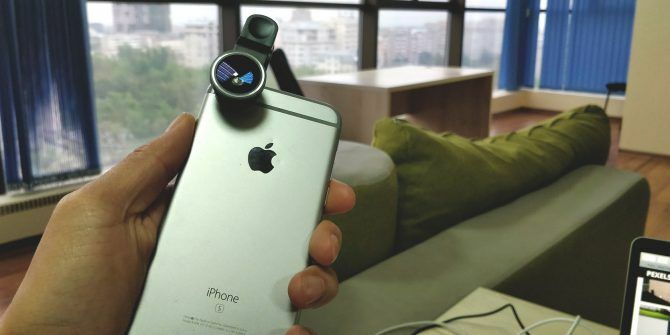 Read More ) claims that this lens doubles your phone’s native field of view. However, having a smartphone camera lens in your arsenal really does open up your smartphone photography to a whole new world of possibilities. And if you want to get even more out of your smartphone photography, you might want to consider ditching Instagram filters in favor of photo editing apps. If you want to make money with smartphone photography How to Make Money from Your Smartphone Photography How to Make Money from Your Smartphone Photography Thanks to the sheer number of apps and stock photography sites, selling your photos for some extra cash is easier than ever before. Read More or improve your photos of food 5 Places to Find and Share Mouthwatering Food Photos 5 Places to Find and Share Mouthwatering Food Photos We all have that one person on our Facebook friend's list or Twitter who snaps a photo of just about every meal they eat. That can be annoying. Taking gorgeous photos of beautifully cooked food... Read More —or you’re a professional photographer looking to diversify your options—then a smartphone camera lens is definitely a worthy purchase. You neglected to comment on how much effects external lenses have on image quality i.e. distortion, sharpness etc.